The Government’s “confidence and supply” agreement with the DUP has fallen apart, effectively removing the Prime Minister’s working majority. The Finance Bill was debated in the House of Commons on Monday 19 November and Tuesday 20 November 2018. On Monday, eight members of the DUP voted in favour of Labour amendment New Clause 2 which called on the Treasury to produce impact assessments of the budget on inequality and child poverty. The vote was narrowly lost by 5 votes. The result was: Ayes: 287, Noes: 292. 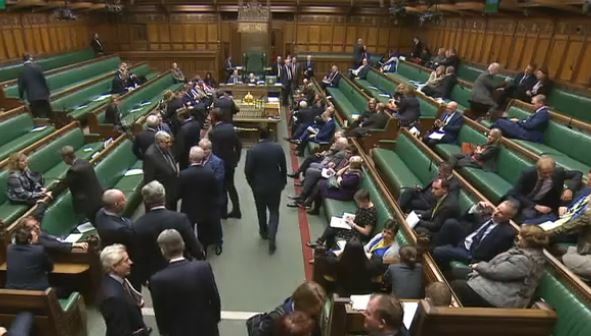 On Tuesday, there was expected to be a series of votes on Labour amendments to the Finance Bill on tax avoidance, gaming duty and Fixed Odds Betting Terminals. But after accepting that it faced almost-certain defeat, the Government accepted the amendments. After years of inaction, the Government has indicated little with regards to their plans to tackle tax avoidance and evasion. Labour amended the Bill to ensure the UK takes meaningful steps in tackling the scourge of tax avoidance and evasion. The following amendments were agreed. Labour’s New Clause 5 called for a review of the impact of the clauses on child poverty, on households at different levels of income, on those with protected characteristics and on the different parts of the United Kingdom. New clause 6 requires a review of the Government’s measures presented in the Bill on tackling avoidance, evasion and the tax gap. Labour’s amendment 23 requires a proper consideration by Government of how they could act to ensure proper data sharing, in order to combat tax avoidance and evasion. It is paralleled by Labour’s amendment 19, which also passed, requiring the Government to undertake a review of our controlled foreign companies regime, with particular consideration of how it would be affected in the event of a no-deal Brexit. Labour also supported New Clause 14, proposed by the Scottish National Party (SNP), which called for a review of the effect of the clauses on reducing tax avoidance and evasion and on inducing new tax avoidance measures unanticipated by the Act, and for estimates of the impact of the clauses on the tax gap. Labour has long supported a reduction in the stakes of fixed odd betting terminals (FOBTs). By dragging its heels the Government demonstrated that they are in the pocket of the gambling industry, rather than on the side of those battling addiction. The Chancellor’s pushback of the date for reducing the FOBT stakes forced the Minister for gambling to resign. Following the resignation, three amendments to the Finance Bill received cross-party support. Amendments 11, 12 and 13 remove the later date of October 2019 from the legislation and restrict the Government’s ability to increase gaming duty until it has changed the law to cap the maximum stake on FOBTs. The Government tabled its own amendments which were agreed. Labour also supported the SNP’s New Clause 12 which was agreed and requires a review of the public health effects of gambling. We no longer have a functioning Government. The Prime Minister is clinging to office but is not in power.